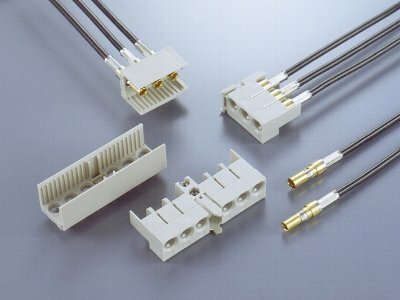 CJ3 Series | Japan Aviation Electronics Industry, Ltd.
Multi type coaxial connectors designed for mounting multiple coaxial contacts on the housing of our MJ04 series connectors, compliant with the IEC61076-4-101 Hard Metric packaging standard. Vertical back panel to board application. Easy to operate: several coaxial contacts can be simultaneously connected and disconnected on the board. Vertical board-to-board application with straight type (for back plane) and right angle type (for daughter card) Contacts conforming to DIN41626 standard. No. of contacts: 3, 6 Optional housings for daughter card with anchor pins and hexagonal nuts, providing a stronger bond to the board. In addition to independent cable application type, we also harness products which satisfy your specification are available. center contacts: 10 milliohm max., outer contacts: 10 milliohm max.